These three pieces are from 2009. 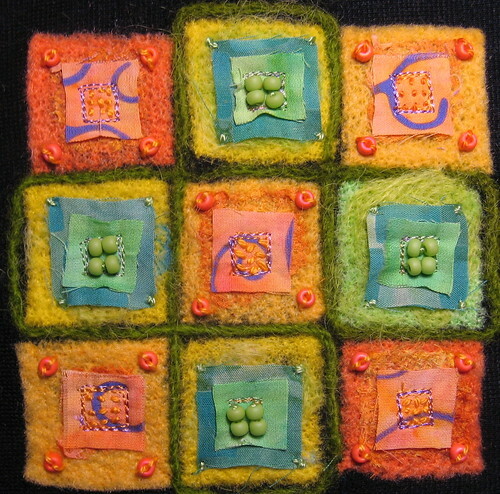 I was experimenting with wool – felting it with a machine (dry felting or needle felting) and felting with water and agitation. 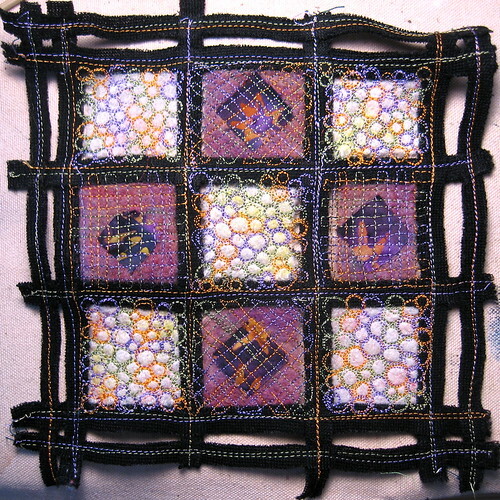 I incorporated the resulting fabric into pieces with woven fabric and stitching. 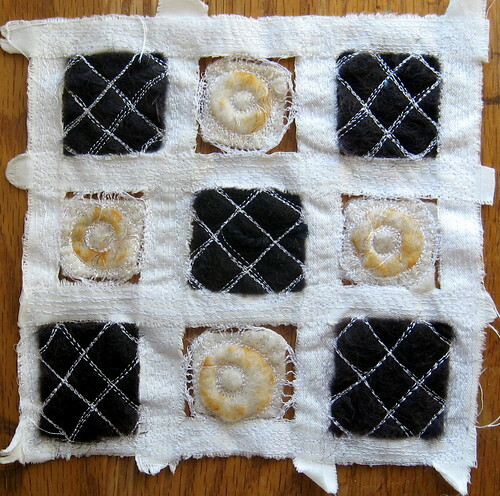 Nine patches are a classic block for quilting, but they also make a nice canvas for experimenting with composition.